If you’re fairly active on Instagram then more than likely you have come across Amrezy, a gorgeously stunning woman who has insanely amazing makeup skills. Through the addicting social media app, she has gained a lot of popularity, which is why a couple months ago she teamed up with Anastasia Beverly Hills and released her own eyeshadow palette sold exclusively at Ulta. The Anastasia Beverly Hills Amrezy Palette. The Overview | The palette contains ten colors that are great for creating warm, neutral eye shadow looks, and it even has two bolder shades that are great for adding a pop of color to your look. 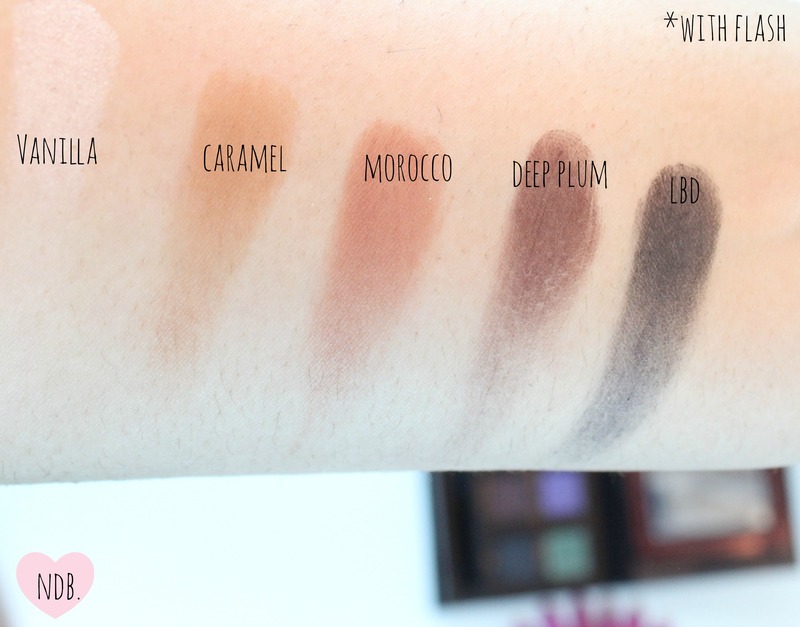 All ten eye shadows have some sort of sheen or shimmer to them except for four warm toned matte shades. Although the palette is no longer available, Anastasia does sell single eyeshadows and many of these (if not all) are available in single pans. The palette comes with a duo eyeshadow brush. One side is a shader brush, and the other side looks like a pencil brush. Although the brush has soft bristles, and comes in handy, I don’t think it is enough to create a well blended look. It also comes with a large mirror on the inside, which is another plus. I have a couple eyeshadow palettes that do not come with mirrors and it is extremely annoying, especially when you want to take it on vacation. A closer look at the Anastasia Beverly Hills Amrezy Palette. 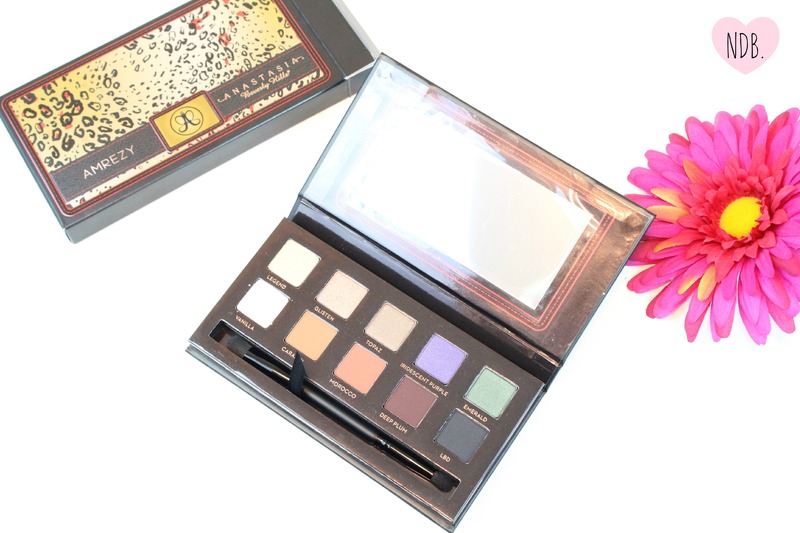 The Pigmentation | An eyeshadow that does not have great color payoff is not a great eyeshadow in my book, and I can happily say that the eye shadows in this palette are nicely pigmented– you do not have to work hard at all to transfer color on to your brush from the pan. All it takes is a slight dab, and you’re good to go. I do find that the matte black shade is not as dark and black as some others out there. 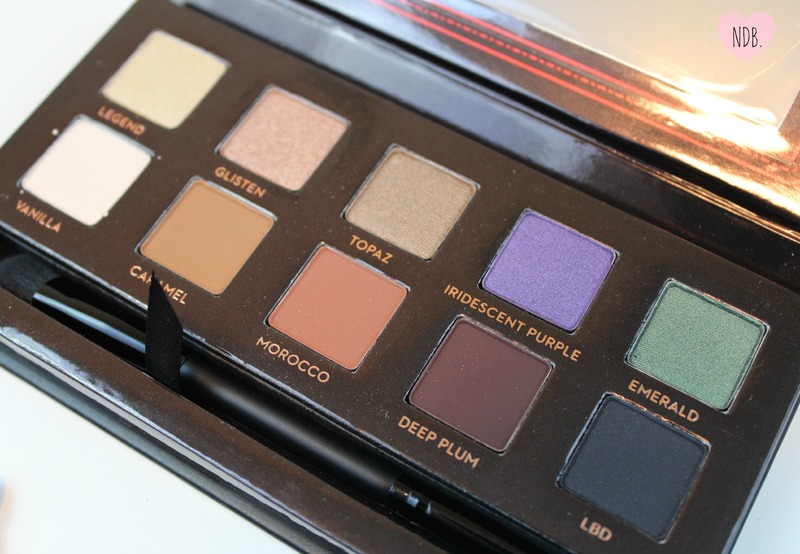 For instance, the matte black in the first Lorac Pro palette is much more pigmented than the one in this palette. Overall, though, the pigmentation is there. The Formulation | Not only are the eye shadows pigmented, they blend very easily and are extremely smooth. Some eye shadows are extremely chalky and apply patchy, but the ones in this palette are soft and buttery, allowing you to create a smooth and well blended eyeshadow look. The Verdict | You get a great variety of warm toned neutral shades as well as two bolder colors, making this palette extremely useful. I think the colors in this palette will be especially great for the fall and winter seasons since it has so many warm tones. The packaging is nice and small with a nice sized mirror, making it a great one-stop-shop palette when traveling. Not only does the palette contain shades that are pigmented, smooth, and buttery, but it is also pretty inexpensive compared to some hyped palettes that are over $40. This one retails for $29 so in my book it’s quite a steal considering it is great for everyday use. P. S. | If you want this palette, get it now! It is no longer sold online at Ulta, but I would check your local Ulta retailer if they still have some in stock and go grab it while you still can! For single shadows, find them here. What do you think about this palette? What are you favorite colors? Don’t forget to check out the 2 other reviews I did for #reviewweek: Clinique’s Bottom Lash Mascara & Mally’s Under Eye Brightener.